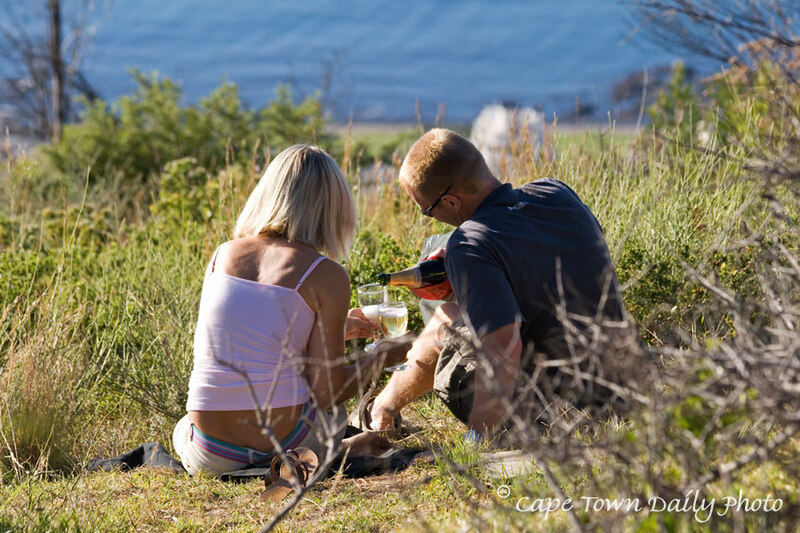 Signal Hill overlooks Table Bay and the great Atlantic Ocean, making this spot the perfect place from which to watch the setting sun. We stumbled across this couple filling their glasses, presumably in celebration of the new year, a new career, their engagement or perhaps simply each other. When visiting Cape Town you should make a point of visiting Signal Hill; the drive to the top of the hill is spectacular, showing off our city in all its glory. Note to visitors: Whilst it is very safe during the day, as a local I would be cautious about visiting this remote hilltop at night. I'm sure our friends in the photo made their way to their vehicle and down the hill soon after the sun had set. Posted in General on Monday, 7 January, 2008 by Paul.